Adaptor for connection of up to 4 fans with 3-Pin Molex plug (CPU fan, case fan etc.) This adaptor allows operation of the fan with a voltage of 5V, 7V and/or 12V which allows a reduction in noise. The great advantage of this adaptor is the fact that rpm monitoring is still possible. Please consider that the speed of the connected fan will be reduced, hence resulting in a lessened airflow. 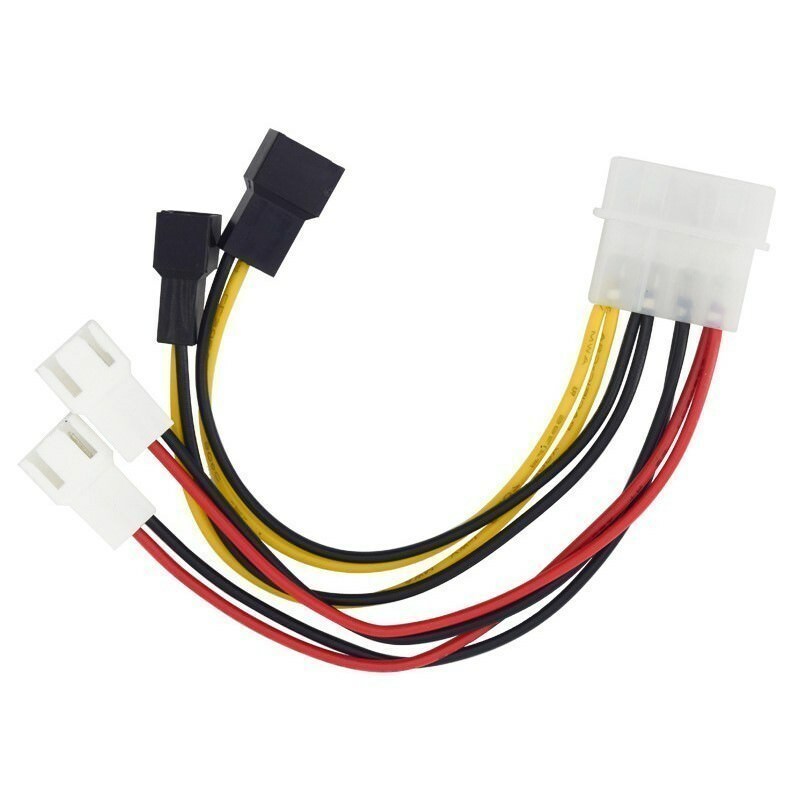 Click the button below to add the 4-Pin IDE Power Connector to 4 x 3-Pin Fan Connectors (5V, 7V, 12V) to your wish list.